Want to buy the best GoPro accessories for making your skiing experience more memorable? Do you want to shoot videos from different angles with the help of different accessories for GoPro Hero 6 and Hero 5? If all these questions are running through your mind, you are at right place to get the answer to all these questions as we are here to discuss all the best GoPro accessories for GoPro Hero 6 and Hero 5. Accessories make the work easy. You cannot shoot wide angle shots with bare hands because your main focus is on the snow only as you are skiing. 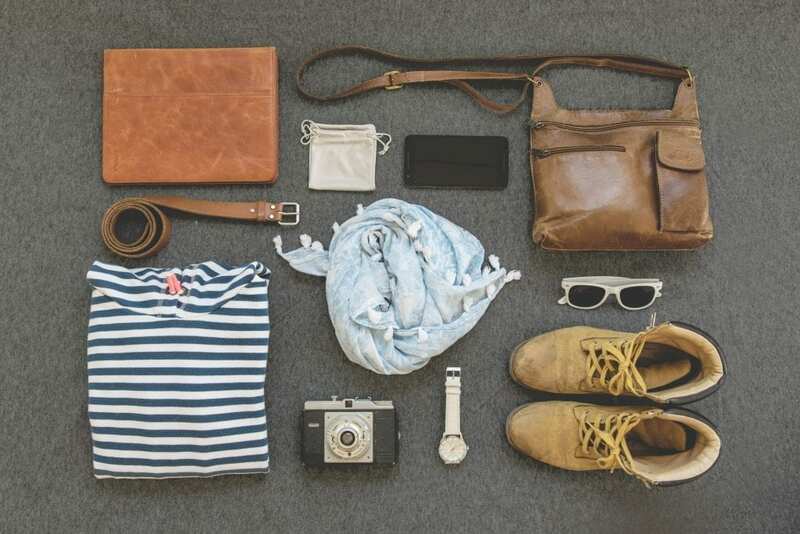 This is where accessories will assist you in making a perfect video. They have the ability to shoot videos from different perspectives while you are skiing or snowboarding. Keeping the importance of accessories in mind, we have decided to review some of the best GoPro accessories for GoPro Hero 6 and Hero 5 so that you can make an easy choice and buy the best one depending upon your video shooting requirements. The accessories we have listed are researched thoroughly on the basis of their performance, durability, wide-angle shots ability and user ratings so that you can have a peace of mind while you buy a GoPro accessory from here. Without further time delay, let’s take a look at some of the best GoPro accessories for GoPro Hero 6 and Hero 5. GoPro Camera Karma Grip is the mount used by many GoPro users to shoot videos from wide angles while they are skiing. 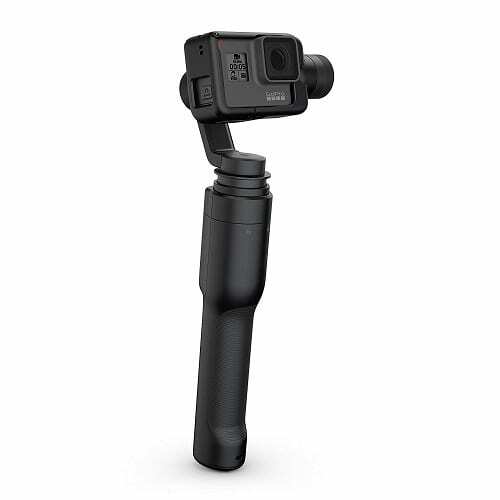 The grip is perfect and compatible with GoPro Hero 6and Hero 5 so that you shouldn’t be worried about the compatibility. You can capture amazingly smooth video with the help of GoPro karma grip. On the other hand, it provides a firm grip so that you can hold it easily while you shoot your video of skiing. Furthermore, the grip also includes Karma harness for GoPro Hero 6 and 5 making it easy to adjust your GoPro camera on the mount. The hand grip is non-slippery. You won’t face any issues n controlling the grip as its lightweight and comes in with a firm grip as well. Ideal for GoPro Hero 5 and Hero 6. GoPro Karma Grip is the mount perfect for holding GoPro Hero 5 and Hero 6 and allows you to get wide angle shots with smoothness as well. 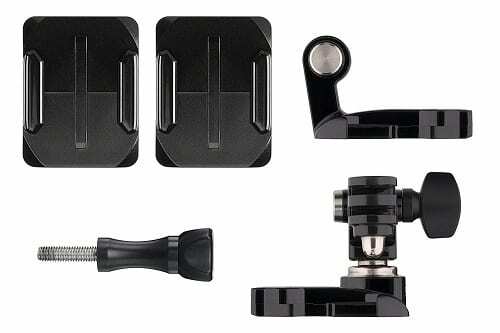 Go for it, if you need a best GoPro grip to hold your camera easily. 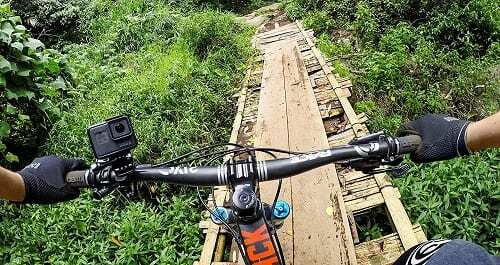 GoPro Handlebar mount is used for fitting your GoPro Hero 5 or Hero 6 camera so that you can take easy shots with much more perspective. This handlebar mount can be connected to your skiing pole and can provide you a wide angle video shooting as well. The design is durable and not slippery. It can be adjusted and clamped in only a few minutes. The base of the handlebar mount is rotating and it allows a 360-degree rotation with 16 secure positions as well. That being said, you can change the position of the mount easily to get a better angle or a wide perspective to your video shoots. Furthermore, the handlebar mount is durable and reliable. It will last for a longer period of time as well. The construction is of high-quality materials and that’s the main reason for its strength. Perfect for wide angle shots. Doesn’t supports handlebars of large width. GoPro Handlebar mount is used to make perfect video shoots while you mount it on your GoPro camera. It is perfect for people who want to take shots from different positions while they are skiing. Go for it, if you want the best handlebar mount for taking wide angle shots while you are skiing on snow. Mounting a GoPro camera to helmet is a necessity for people who want to go on skiing and take perfect view shots from above the helmet perspective. For this purpose, GoPro Helmet mount is introduced which will help you a lot in mounting a GoPro Hero 5 or Hero 6 camera on the front or side of the helmet. The construction of this helmet mount is sturdier and all the materials used are of high quality. You can adjust your GoPro camera on two different positions i.e. the front and side positions for wide angle shots. With the swivel mount assembly, you can easily adjust the mount on your helmet, rotate it and position it according to your needs. The mount is able to provide maximum adjustability and helps in capturing wide-angle shots easily. Compatible with all GoPro cams. Front and Side Positions adjustment. Works great for taking wide angle shots. Above the helmet perspective shots. This product has got no major cons. GoPro helmet mount is used for mounting your GoPro camera to your helmet while you are skiing. It’s perfect for people who want to take great video shots while they are skiing or snowboarding. Go for it if you need the best helmet mount in an affordable price range. GoPro Chesty is a chest harness which is used to mount your camera on the chest and take shots from a straight perspective. The chest mount is very necessary especially when you are on skiing or snowboarding. It provides a straight view of shots and you can easily capture your skills videos on it as well. The chest harness is padded which adds more comfort while you wear it. It is adjustable to all adult sizes as well so that you don’t have to worry about the size of your chest anymore. Furthermore, the construction of the chest mount is of high quality. If you want to get lower than helmet view while you are skiing or snowboarding, this chest harness is the best choice for you in this regard. Allows good angle video shots. Perfect for skiing and snowboarding. Adjustable to all adult sizes. Allows good security to the camera. Compatible with GoPro 6 and 5. 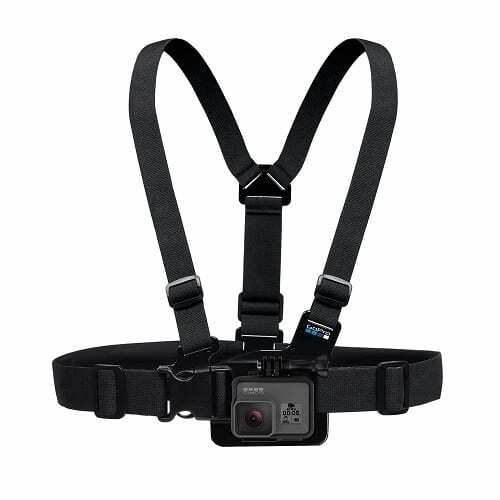 GoPro Chesty is a chest mount harness which is used to mount your GoPro camera on the chest easily. It is used to take video shots from a good angle and is perfect for skiing and snowboarding. Go for it if you need a best chest mount harness for your GoPro cameras. 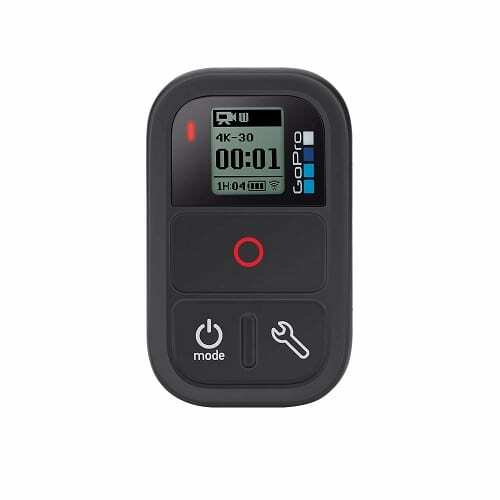 GoPro Smart Remote is an accessory which is used to connect your camera to a smart and simple remote for accessing all the options on simple buttons. The smart remote is compatible with almost all GoPro cameras and is used for operating the GoPro camera from a remote. While you are skiing, the access to the GoPro camera is limited. You cannot concentrate on managing the options of the camera while you are skiing on the snow. For this purpose, this smart remote is used to make sure that the shots you are taking are from the perfect angle. It comes in with three simple buttons, one for recording, one for opening the settings and one for accessing different modes of the camera. The smart remote has got a range of up to 600ft which is quite exceptional as well. Allows access to all options. Recording on a single button press. GoPro Smart Remote is used to connect your GoPro camera for a remote access. It is perfect for people who want to take full control of their camera while they are skiing. Go for it if you need a best smart remote for your GoPro camera. GoPro LCD Touch BacPac is another GoPro accessory you must have while you are skiing. The GoPro LCD Touch BacPac is compatible with GoPro Hero 5 and Hero 6 and provides a perfect video and photo accessing on the GoPro camera. The touch display is removable and it can easily be attached to the back of the GoPro camera. The LCD touch BacPac allows you to access different options of the camera easily. Furthermore, it also lets you access all the videos and photos that you have got in your GoPro camera. It also comes in with internal speakers which means that you can hear the audio of the video clips too. There is a 3.5mm headphone jack available which lets you connect your headphones to the LCD panel easily. Furthermore, it is also helpful in providing slow-motion video playback as well. Access all videos and photos easily. 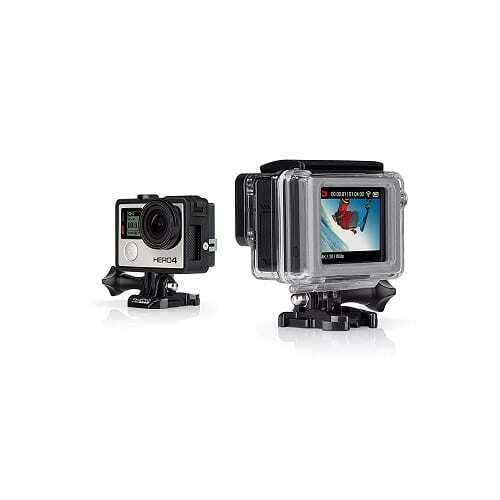 GoPro LCD Touch BacPac is the must-have accessory which allows you to access different video clips and photos easily. It is perfect for people who want to watch the video clips at the same moment after shooting the clip. GO for it if you need a best LCD touch BacPac for your GoPro camera. SmaPole S1 is a selfie stick introduced by Smatree which is used to make high-quality selfie video shots while you are skiing with your friends or family. It is used to make high-quality video shots and is compatible with GoPro Hero 5 and Hero 6 as well. 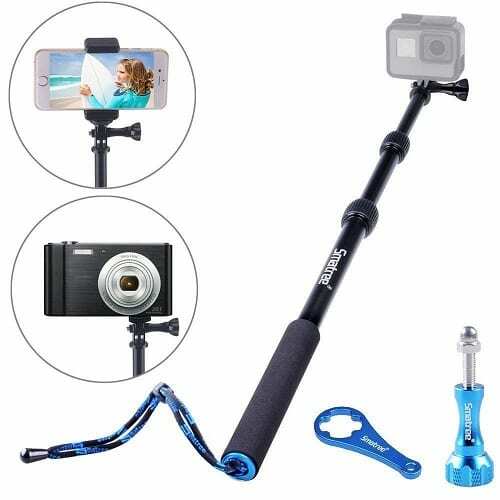 The selfie stick is made up of strong aluminum and is durable and reliable. Due to aluminum construction, it is lightweight and strong at the same time. It is expandable to many inches and on the other hand, it comes in with a non-slippery grip which allows you to have a firm traction while you hold it. It won’t slip off your hands in any conditions. Moreover, there is a wrist strap available at the bottom of the selfie stick which allows extra protection to the camera while you are on a go. This product has got no specific cons. Smatree S1 aluminum Selfie stick is used to make perfect selfie video clips while you are skiing with your friends or family. Go for it, if you need the best selfie stick for taking wide-angle video shots with your GoPro camera. So, these were some of the best and must have accessories for GoPro Hero 5 and Hero 6 while you are skiing. 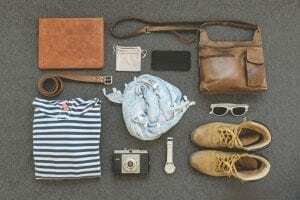 It is good to have almost all of them in your backpack while you travel to do skiing or snowboarding. All these accessories have their own importance and they are all there to help you make a stunning video by providing various angle shots. So, get them to enjoy wide-angle shots on your GoPro camera while you are skiing on snow.